Quite often, I find myself sorting through my stacks of fabric to find something and end up finding something else altogether. This little quilt was a result of a couple finds while I was sorting fabrics. 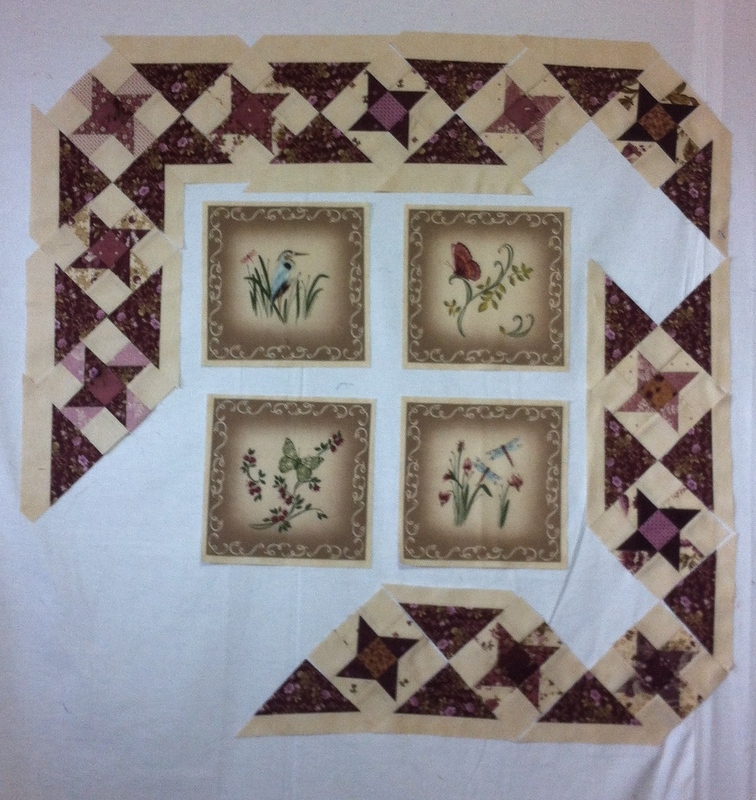 I bought the panel with the four scenes on it at the closing out of one of the quilt stores in Edmonton a number of years ago. It kept surfacing to the top of my to-do pile and shifted back to the bottom as I had no ideas on how I was going to finish them or what fabrics I had that would match. And the charm pack and a bit of yardage of the Plum Sweet fabrics by Blackbird Designs for Moda Fabrics were bought more recently and I had it in my mind to make a couple table runners from them, but every time I took them out, I had no inspiration and put them back in the closet. It just so happened that this time as I was sorting, I noticed both these fabrics, realized what a great match they were together, pulled them out and promptly put all my other ongoing projects to the side and started working on this one. The four panels pictures would make the centre of the quilt and the charm squares would become a lovely pieced border. A 2-colour pieced border that didn't work! 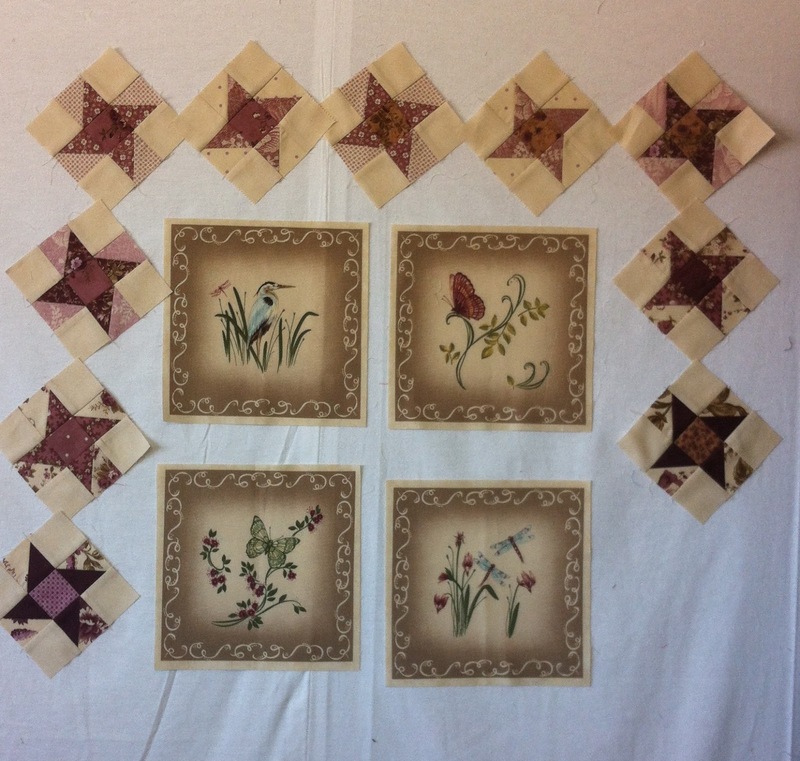 The original idea for the border was to do a 2-colour setting triangle for the pieced friendship stars, but sometimes ideas just don't go the way they are supposed to. 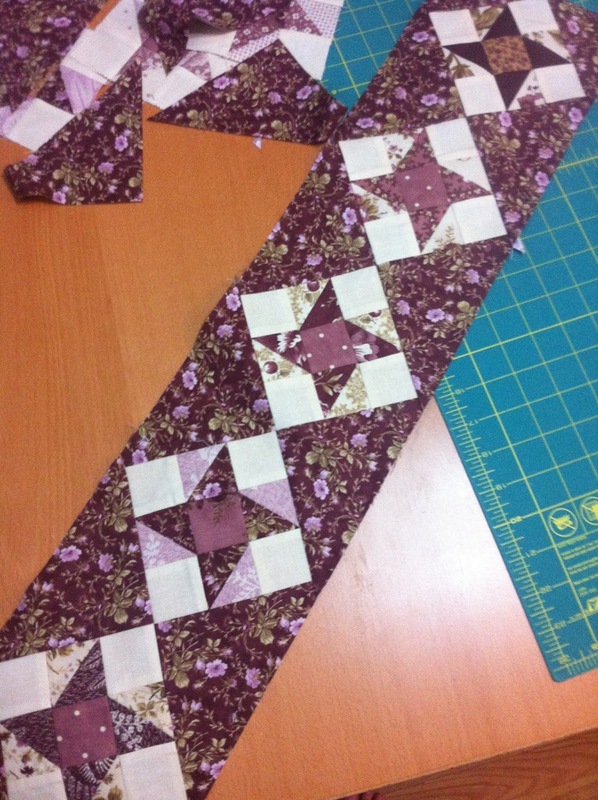 Another trip to the fabric store for a bit more yardage, a change in plans and voila! 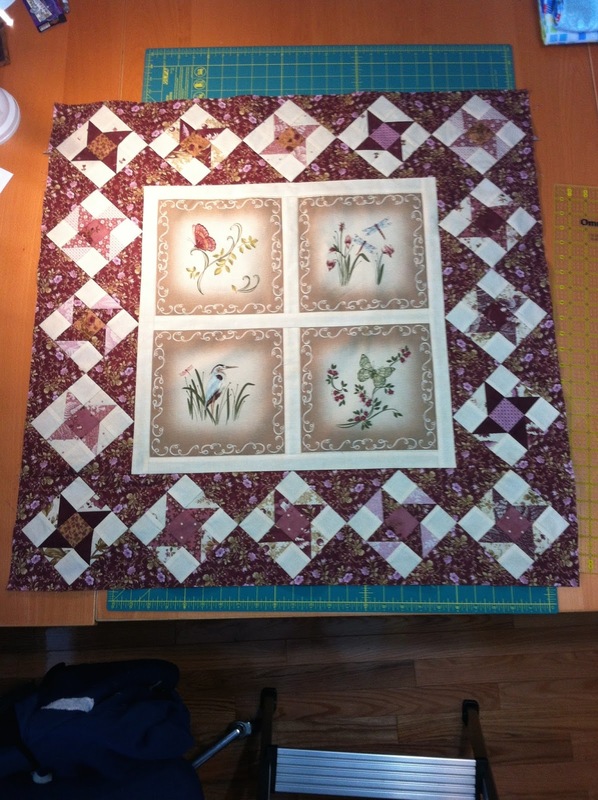 A quilt top ready for quilting! 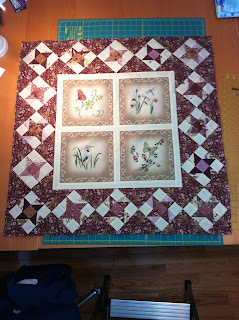 Next time you see this one, it will be quilted and ready for my shop here.